Liz joined Back 2 Normal in May 2015. She is a Massage Therapy and Wellness Consultant expert, and graduated in 2001 from Humanities Center School of Massage. With a mindful and compassionate presence, Liz utilizes an integrative approach to massage through Myofascial, Neuromuscular, Thai, Sports, Therapeutic Relaxation and Reflexology techniques, to restore health and promote homeostasis in the body. She is passionate about transformation through the power of positive energy and touch. 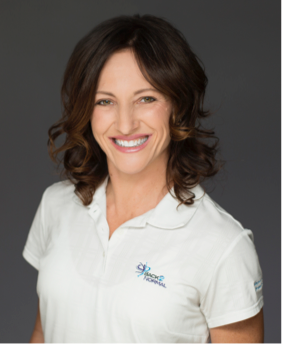 Whether you’re looking to optimize biomechanics for athletic performance, improve quality of life, boost physical, mental and emotional recharge, or just need a little rest and relaxation, Liz customizes the perfect approach, just for you. Liz is also a Licensed Cosmetologist; and is a compassionate animal activist, with a specialty in bird rescue.